> Looking For Savings? How's 15% Off Your Ontario Car Insurance Sound? 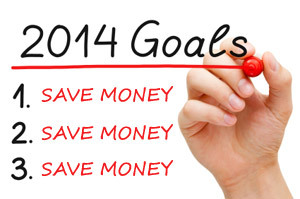 If saving money is your goal for 2014, look to your Ontario auto insurance rates for an opportunity at some easy money. Every New Year, we all do it; we say we're going to save more, pay down our debt and pay closer attention to our budget. But let's face it, the last few years have been rough on all of us and it's getting increasingly harder to find fat to trim. Now, it's not too often (read: ever) that you hear about prices dropping, especially Ontario car insurance rates, but the coming year-and 2015 too-will see many drivers get cheaper auto insurance. The provincial government's Auto Insurance Cost and Rate Reduction Strategy, announced in August 2013, is expected to decrease the cost of auto insurance by an average of 15 per cent within two years. The cheaper auto insurance rates will happen in phases, the first round should show up on drivers' auto insurance renewals by August 2014, and by August 2015, the full 15% average reduction should be fully realized. Cheaper car insurance rates are already happening. Read, CAA Makes An Aggressive First Move On Car Insurance Rate Reductions. Anytime there's a change in car insurance rates, it's not until it is time to renew that drivers see the effect. This is a good thing when rates are rising; especially if you're lucky enough to have them go up after you've already renewed. But, when the reverse is true and insurers are dropping their rates, why wait? At any time you can compare car insurance quotes and even switch providers. Yes, there is sometimes a mid-policy cancellation fee, but if the savings in premiums is greater than the cancellation fee, why wouldn't you? You're giving away easy money if you don't take advantage of the falling rates. You don't have to wait. Compare car insurance quotes to see if you could save money now. Read: Can All Ontario Drivers Expect Cheaper Car Insurance? Car insurance tips that will help you save money. The Ontario government says drivers will see an average 15 per cent drop in rates, but will you? The keyword to it all is average. An average 15 per cent reduction in Ontario auto insurance rates sounds great, but the fact is, some people may not even see a decrease; drivers with a good driving record will see larger rewards and those with worse, may not. Your driving record is one of the most influential factors in determining your car insurance rate. Tickets affect your insurance rates for up to three years (that's 3 years from the conviction date, not the date you got the ticket) and accidents stay on your record for at least six! With a spotty driving record, you can find yourself paying a lot of extra premium over the years. Did you know that drivers who use winter tires could save up to five per cent with some insurance companies? With winter tires, not only can you benefit from cheaper car insurance but your vehicle will be equipped with tires designed specifically for driving on ice and snow-improving your chances of staying away from accidents. Many companies charge a little extra to cover the cost of administering payments every month, so if you can afford to pay your premium annually, rather than monthly, at the end of the day you'll pay less for your coverage. If you switch your deductibles from a $500 deductible to a $1000 deductible you'll save between five and 10 per cent. Make sure it's affordable though; in the event of a claim the deductible is the portion you have to pay. See if you could save money today; compare auto insurance Ontario at KANETIX.ca, and kick off the new year on the right foot.